How many events can you remember that someone got up and said how they hacked, hustled and created their success? Now how many events do you remember that someone got up and said how they really fucked up, and what you can learn from it? Chances are, the stories about the former have been greater than stories about the latter. 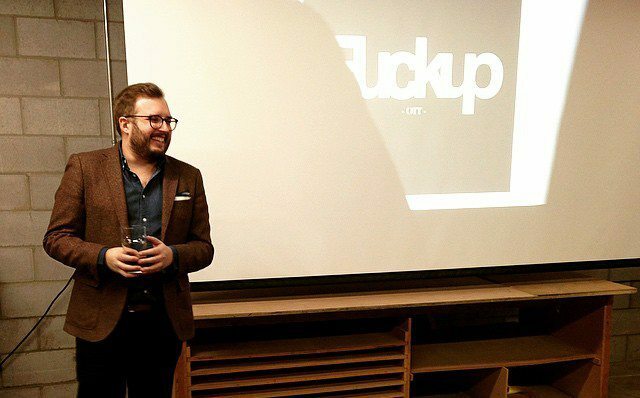 This is exactly why I decided to get involved with FuckUp Nights and bring it to Ottawa. In my experience, you learn way more from failure than success – and over night success is quite often rare. More often than not, success uses the bodies of multiple failures to climb to the top – and we should recognize and accept that. It’s my hope that by coming out to our events, you’ll feel a little more comfortable about talking about failure, learn that it’s ok to make a mistake (just don’t make it twice! ), and that you’ll learn something from some amazing people who’ve lived to tell the tale. If nothing else, you’ll get to have a few laughs, a few drinks, and meet up with some of this city’s coolest people.